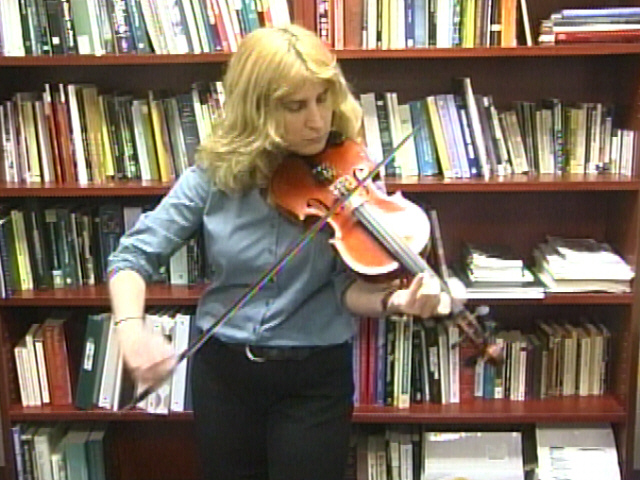 A professor at Muskingum University and a mother of two learns life lessons through fiddling and now she’s sharing them with you. Doctor Vivian Wagner spends a lot of time in the classroom teaching journalism at Muskingum University. Outside of class, she fiddles in a band, Whiskey Beach and recently released a book simply called: Fiddle, detailing her eight thousand mile journey through learning the art of fiddling. "I became almost obsessed with it, to learn about this and I think it was partly that I was going through a mid-life crisis" said Dr. Vivian Wagner. "It was something to do and to explore and this seemed to be that thing that would give me a new purpose." The book details Wagner, a classically trained violinist, travels as she discovers different types of fiddling from Irish, to bluegrass, to Cajun, which was one of her favorite experiences. "Going to New Orleans was one of the most moving experiences," said Wagner. "I was so happy to meet him not just to talk about fiddling, but also to just see how he was surviving after Hurricane Katrina, after everything that had happened in their lives. I learned a lot both about fiddling and how to survive." And for this California native fiddling has mad her feel more a part of the area and taught her a lasting life lesson. "The most important thing I’ve learned is how to improvise and make things up," said Wagner. "I was always someone who did what they were supposed to do. I followed the music. I was in orchestra I played exactly what was not on the page and then all of a sudden in the last few years. I learned that doesn’t always work, you have to roll with things and explore and try new things." "I’m sure they’ll be something to write about." Until then there’s plenty of music left to play. Wagner will hold a book signing, reading and jam session for Fiddle at Waldenbook at the Colony Square Mall on Saturday May 15th from 2-3pm.